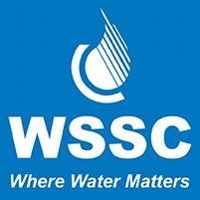 To guarantee water quality, WSSC regularly performs stringent tests for 365 substances. Additionally, WSSC analyzes tap water at nearly 100 locations in communities throughout Montgomery and Prince George’s counties. WSSC treats surface water from the Patuxent and Potomac rivers. WSSC’s Patuxent and Potomac Water Filtration Plants provide an average of 164 million gallons of safe drinking water each day. The 2017 water quality report is available online at wsscwater.com/wqr. Customers may also request a hard copy of the report by calling WSSC’s Communications and Community Relations Office at 301-206-8100 or via email at "> .